CHICAGO - Police are dealing with the fallout from some unexpected fireworks over the past few days in Chicago. Eighty-two people were shot, 14 of them fatally, over the long Fourth of July weekend, according to the Chicago Tribune. The string of incidents kicked off in the afternoon on Thursday. Five of the shootings involved police, reports CBS Chicago, and two male teens were killed by officers in separate incidents. In the most recent fatal shooting, an unidentified 44-year-old woman was shot at a barbecue around 12:30 a.m. Monday in the city's Morgan Park neighborhood, according to the station. She was shot as she leaned into a car in a parking lot and was pronounced dead at the scene. "While to date we have had the fewest murders since 1963, one victim is too many and there is clearly much more work to be done," said police spokesman Martin Maloney. 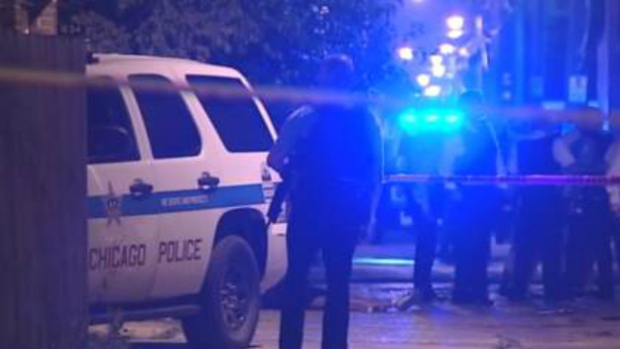 Dozens of others were wounded in shootings throughout the holiday weekend. "We will keep building on our strategy, putting more officers on the street in summer months, proactively intervening in gang conflicts," Maloney said, according to CBS Chicago. "Yet, even with the best police and the best policing strategy in the world, without better state and federal laws to keep guns off the streets and out of the hands of dangerous criminals, we'll continue to face an uphill battle." Ross Rice, a security consultant for CBS Chicago, told the station the violence over the weekend speaks to a larger problem. "I think it is representative of the gang, drug, gun violence problem that still persists in Chicago," Rice said. "It's not a law enforcement problem solely. There's not going to be a law enforcement solution to this. You can't arrest your way out of gang violence." Sixteen-year-old Warren Robinson was shot dead by police just three days shy of his 17th birthday, according to CBS Chicago. After being chased by officers on Saturday evening, he was found hiding under a car by authorities. Police said officers told Robinson several times to drop his gun as he was getting out from under the vehicle. He allegedly refused the command and officers said they shot him to defend themselves. The boy's mother, Georgiana Utendahl, said her son was not armed. Some witnesses said Robinson kept his hands in the air the entire time, a claim that police refute. "They shot him over twenty times," Utendahl told the station. "They are trying to say he had a gun on him and he didn't have a gun on him." On Friday, 14-year-old Pedro Rios was fatally shot when he allegedly pointed a revolver at officers responding to a call of a person with a gun. Rice said it is more difficult than people think for officers in these types of situations. "I think there's a disconnect between people watching TV shows and watching movies, and it doesn't translate into real life for them," Rice told CBS Chicago. "They don't realize that the police can't shoot the gun out of your hand like they do in the westerns, or the police aren't going to be able to wound you, or they can't fire a warning shot. It's serious business." The Independent Police Review Authority was investigating the police-involved shootings. The Chicago Police Department released a statement, saying, "Officers do not relish using a weapon in the course of their work, but... they must do what is best to protect themselves and the public they serve." As of early Monday morning, the station reports no one was in custody for any of the weekend shootings.